Deliveries commence in Summer (June-August). 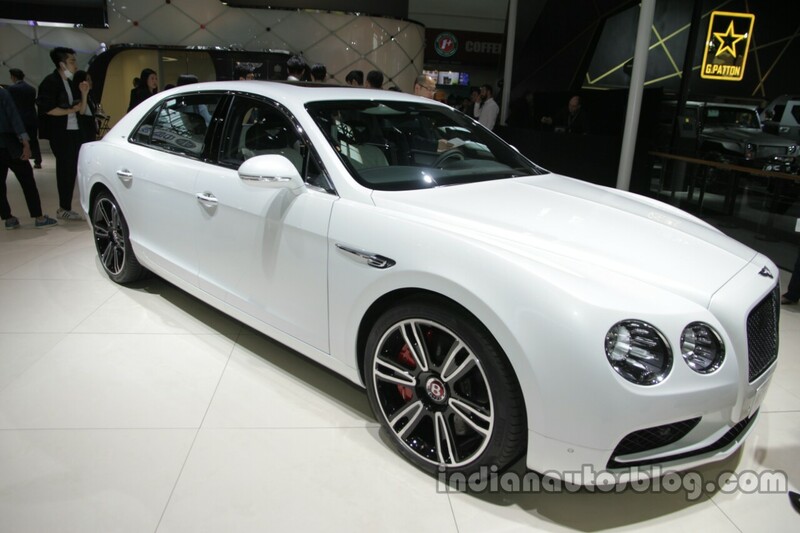 The Bentley Flying Spur V8 S seen in these live iamges from Auto China 2016 is the latest introduction in the Bentley Flying Spur range, slotting between the Bentley Flying Spur V8 and the family flagship Bentley Flying Spur W12. The V8 S model is tuned to deliver more power and better performance than the V8 model. 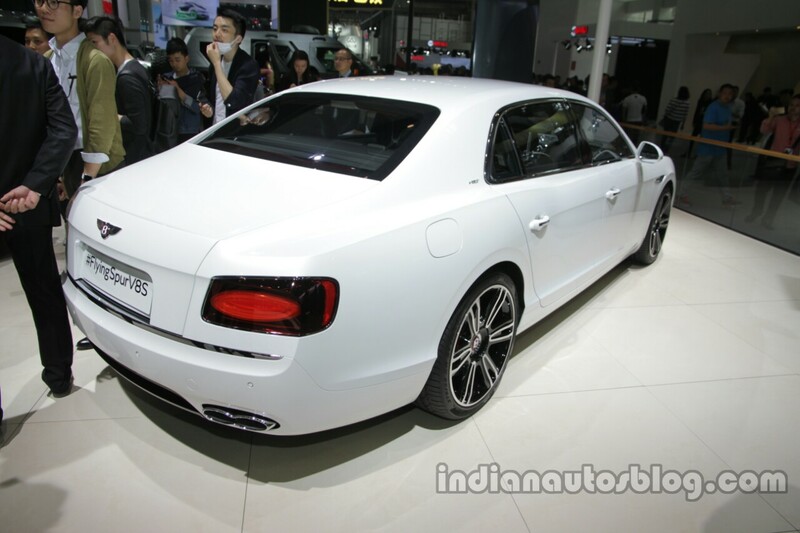 The Bentley Flying Spur V8 S sports a 4.0-litre twin-turbo V8 petrol engine that churns out 528 PS (521 bhp/388 kW) and 680 Nm (502 lb.-ft.) of torque. The Flying Spur V8 S hits 0-100 km/h in 4.9 seconds (0-60 mph in 4.6 seconds), 0.3 seconds quicker than the Flying Spur V8, with a top-speed of 306 km/h (190 mph), 11 km/h (7 mph) faster than the Flying Spur V8. To ensure a more involving performance, Bentley has made revisions to both the engine and transmission calibrations. Resultantly, the throttle response has sharpened and the power has become available at even lower engine speeds, claims the company. The suspension has been retuned for improved handling and body control. The ESC (Electronic Stability Control) system has also been appropriately optimized; it allows increased wheel slip at higher speeds and the engine torque is restored quicker after it intervenes. The more capable model is instantly recognized with its black radiator grille with a body-coloured insert. Other styling highlights include 20-inch open-spoke painted wheels, V8 S badging on the rear haunch, V8 S treadplates and Beluga gloss rear diffuser. Inside, piano-black wood veneers and a three-spoke sports steering wheel are standard. Unique to the V8 S model, is a colour split featuring two-tone seats with a contrasting roof centre bow. Deliveries of the V8 S model will commence in Summer (June-August).